Up for sale is a set of Spoon Mags in 15 Inch. 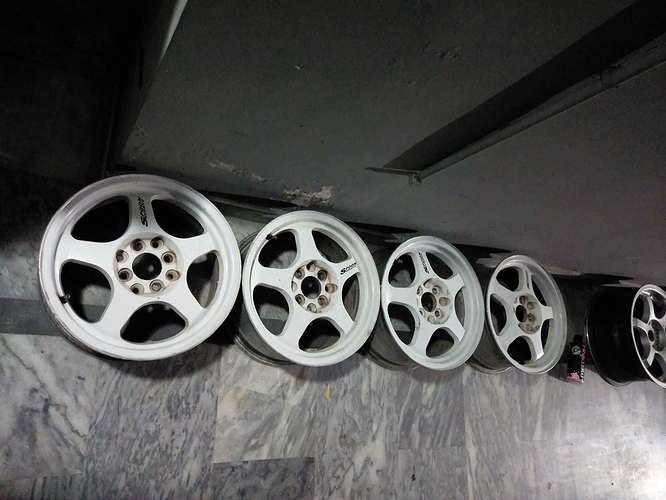 Wheels are still in their original white colour but might requires a respray for fresh looks. No bents, wobbles or whatsoever. Can be shipped nationwide on buyers expense. ^^ I have a pair of 15mm 100x4pcd spacers. Still up for grabs ..